The Drosophila visual system shows structural characteristics shared with mammalian brains. 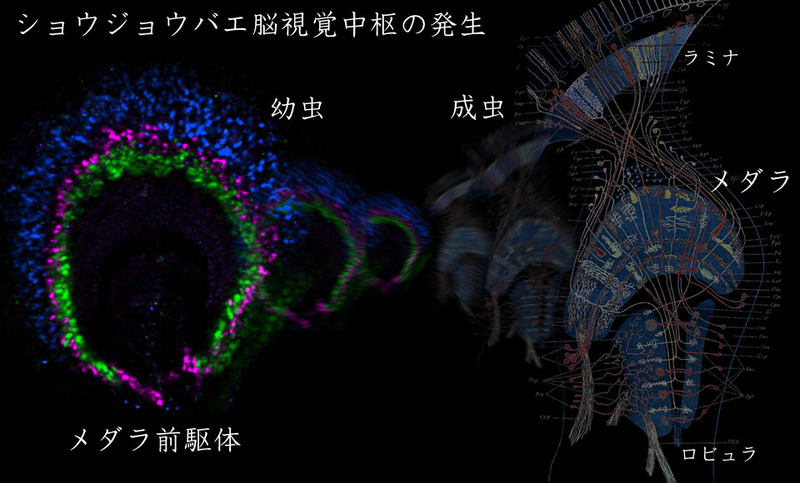 However, developmental mechanisms that produce neuronal diversity and organization of the circuits have been elusive. We found its larval primordium is subdivided into concentric zones specified by expression of conserved transcription factors. Extensive migrations of neurons disrupt the concentric zones during pupal development. Based on these key factors and novel phenomena, we are studying mechanisms that govern functional neuronal circuits in the brain.